"Headache disorders impose a severe burden on its sufferers," reports Dr Gomez. "And the long-term effort of coping with chronic headaches may also predispose the individual to other illnesses like anxiety and depression." The World Health Organization has estimated that almost half of the adult population has had a headache within the last year, and over 303 million people world-wide were migraineurs. Yet a migraine is just one out of five different types of headaches. The most common type of headache is the good-old-fashioned tension headache, with its constant ache or pressure around the head. Occasional over-the-counter medications usually do the trick at reducing this type of pain. Cluster headaches usually affect men more than women. They occur in cycles and are usually fairly severe. There is no cure for a cluster headache, but medication can often times cut the frequency of occurrence. Sinus headaches are usually caused by an infection, and can be treated by antibiotics. Rebound headaches are caused from the over use of of painkillers — even over-the-counter medications used to treat tension headaches. And finally, Migraine headaches can often be the most traumatic. There are several misconceptions about what constitutes a migraine, the most common one being that a migraine type of headache has to be severe. Although, it is true that the headache during a migraine is typically moderate in intensity, it is not always severe. Other misconceptions about migraines include that it has to be a one-sided headache and that it has to be a throbbing pain. Accompanied by an aura or "warning"
All of the above can be help in making the diagnosis of migraine. But not all of the above have to be present for this diagnosis to be made. Unfortunately, confusion in making the diagnosis of migraine occurs even among physicians. For this reason, the International Headache Society has set down criteria that helps define what is and isn't a migraine. These criteria are used mainly for research purposes. These have been widely accepted among Neurologists as the best way to diagnose whether a patient does or does not have a migraine. You may ask why should that matter? Your head is hurting in any situation. Where this becomes important is in treatment. Today there are many medications that are used for the treatment of migraines, including Botox (onabotulinumtoxinA) and several new medications aim to fight migraine headaches before they start by targeting the brain’s CGRP molecule. Armed with knowledge, you can help your doctor properly diagnose your headache. Thereby most efficiently and cost effectively treating them. 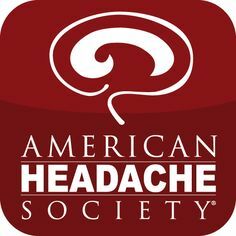 Dr. Gomez is a fellow of the American Headache Society.